It would be impossible to think of the smash show NCIS which has been on the air since 2013 without the character of Leroy Jethro Gibbs played by Mark Harman. His character is irreplaceable. CBS Insider posted a story in December that stated 67-year-old Harman was leaving the show because of his poor health. They discussed how Harman had major knee surgery last year related to a football injury he suffered many years ago. After the surgery, the actor entered rehab to help heal and wasn’t seen for almost a year. Harman also lost over twenty pounds due to his injury. His gaunt appearance shocked those who saw him. Despite the treatment, it was reported that his health issues returned and that would make him leave NCIS. This isn’t the first time rumors about Mark Harman departing NCIS have surfaced. Earlier in 2018, an unnamed source stated Harman would leave the show after Season 15 completed. The reason for his leaving was also due to his health issues. The rumors ended up being false as he returned to the show for Season 16. The busy actor also serves as the executive producer of NCIS and NCIS: New Orleans. He has just agreed to executive produce a brand new CBS series which will be based on the ‘Prey’ novel series by John Sandford. The show is a crime drama telling the story of Lucas Davenport who is a homicide detective and his psychology professor friend Elle Krueger. Together they go after Minnesota’s most dangerous and vicious criminals. Harman is working with ‘Shadowhunters’ former showrunner Ed Decter. Michael Jaffe and Howard Braunstein will also be executive producers on the show. Harman, who is presently television’s fifth-highest-paid actor, has signed a two-year contract that ensures he will be playing Leroy Jethro Gibbs through Season 17, which almost ensures he won’t be leaving the series in the immediate future. Pauley Perrette who played Abbie was the last major character to leave NCIS after 15 seasons. She hinted to physical assaults while on the show. There were rumors that it was alleged Harman’s dog bit somebody on the set and Payley did not want the dog to be permitted on it again. The disagreement caused a feud between Harman and Pauley who refused to work together. Consequently, they appeared in fewer scenes together. After Perrette left the series she tweeted a thank you to CBS and her studio stating they were good to her and always protected her. Celebrity Insider also recently claimed that David McCallum, whose character is Donald “Ducky” Mallard, is thinking about leaving the show, mentioning that his workload has been lowered in the upcoming season. There has been no confirmation or denial. Harman’s representative contact Page Six and they stated the claim was false. CBS was contacted but did not respond. NCIS is the highest viewed drama on the CBS network and around the world. 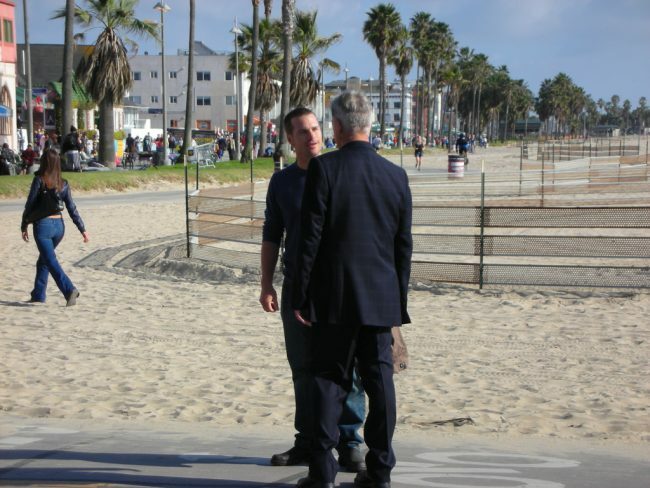 Season 16 of NCIS hits the airways on January 8 and can be seen on CBS at 8:00 p.m. EST. Celebrity Insider: ‘NCIS’ Star Mark Harmon Leaving After Season 16 For New ‘Prey’ Series? Country Living Magazine: Is Mark Harmon Leaving ‘NCIS’? One Response to "Mark Harman Denies He Will Leave ‘NCIS’"
Kudos for detailing this subject. Do you have any plan to write more?